Now is a great time for spring inspections to be done for your vehicle. Over the winter, your vehicle takes a beating. Snow, salt, corrosion, and rust can build up on your vehicle. This can increase the chance of needing it replaced sooner than you should. 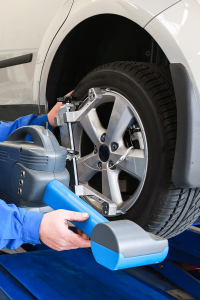 There are some spring inspections that you can do for your vehicle. Following these can help your vehicle last as long as possible. A good, thorough wash and wax is the most important thing to do with your car once the winter is over. Winter driving can cause a huge amount of road grime, debris, and salt to build up on your car. You want to make sure those items are long gone before spring starts. Allowing debris and grime to build up on your car can affect its paint and finish, while allowing salt to build up can lead to rust and other serious problems. Nobody wants to spend time cleaning out their car during a cold winter day. That’s why spring is the perfect time to clean your car’s interior, so spend a day doing some spring cleaning. Remove and throw away all the interior papers, trash and other items that have accrued over the winter. Tire pressure is especially important in the spring. When the air is cooler, you may notice the tire pressure is lower. So you will need to check the air pressure on a regular basis for them. You will also want to check the windshield wipers this spring. Over the winter, they can easily become damaged due to the harsh weather and temperatures you drive in. You will need those wipers for spring rains, so be sure they are in good working order after winter comes and goes. If you notice an issue with them, bring the vehicle in. We can inspect the windshield wipers for you.